In recent years, Taizhou has been devoted to the cultivation of cultural and creative industries. Based on the foundation of its local arts, crafts and other related industries, the city has built platforms such as the Hehe culture creative and design competition, as well as encouraged culture institutions and societal forces to design and develop a series of Hehe culture creative products, souvenirs and mascots. 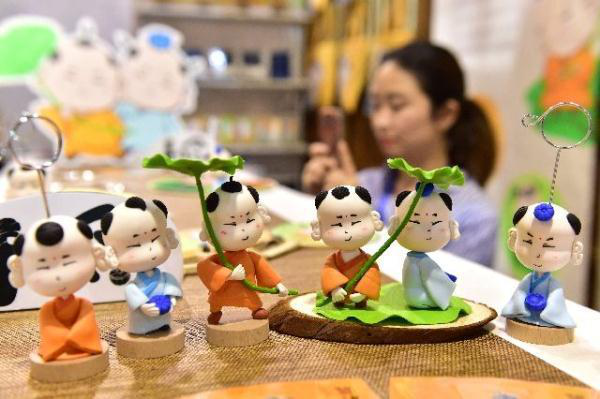 Cartoon characters based on the two immortals of Hehe, Han Shan and Shi De, were presented at the 13th China Yiwu Cultural Products Trade Fair on Apr 27, 2018. 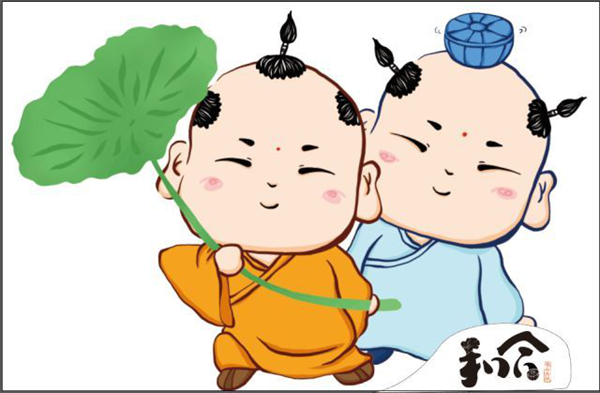 The Taizhou Museum started its cultural and creative product development series at the end of 2017, and printed the original IP images of the two Hehe immortals on stationery, household items and other cultural and creative products. 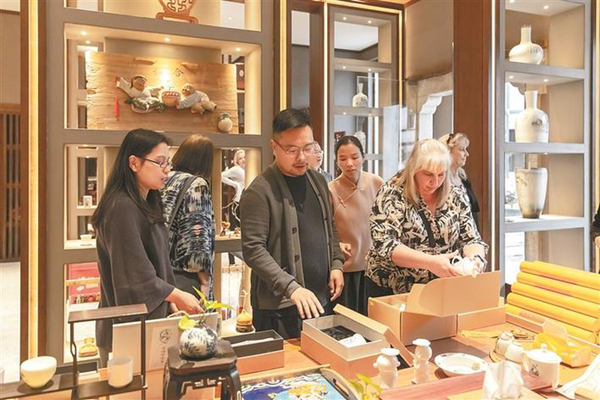 On Oct 25, the museum took the Hehe culture series to the eighth China Beijing International Cultural and Creative Industry Expo and won high praise from international friends, professional reviewers and art buddies. Taizhou forms a distribution center of art and culture through the development and construction of cultural and creative industrial parks, providing an incubating base for the development of cultural and creative industries. Tiantai Hehe Cultural Park, located in the core area of the Hehe Town in Tiantai county of Taizhou, has been under reconstruction since 2012 and is to be completed by 2020. Shi De Fang of the Tiantai Hehe Cultural Park, the first Hehe Culture industrialization display platform in China, went into trial operation on Feb 13, 2018. The exhibition hall features more than 300 derivatives on the theme of Hehe Culture, including household, stationery, wedding supplies and "one rattan" handicraft. According to Shen Shenggang, an official of Hehe Cultural Park, based on the culture of Tiantai Mountain, they plan to build a cultural tourism industrial park integrating weddings, culture, tourism and Hehe Culture derivatives.